The Mexican national football team has a long and relatively successful history, having played their first International in 1923. Football in Mexico is well-supported and demand for Mexico football shirts is high both within the country itself and around the globe. You can now order your official Mexico jerseys online at Soccer Box, and enjoy hassle free shopping with worldwide delivery options. Worldwide support for the Mexican national team has been developed through their frequent appearances at the prestigious FIFA World Cup. The Mexico jerseys have appeared at fifteen tournaments, with the team qualifying for every consecutive tournament from 1994 - 2014. They have never won, and their highest ranking to date was quarterfinal finishes in both 1970 and 1986. Incidentally, both of these tournaments were hosted in Mexico. Mexico is one of only five countries to have hosted the World Cup twice. Mexico plays as part of the CONCACAF FIFA Confederation, and in the regions Championship & Gold Cup they have been exceptionally successful. 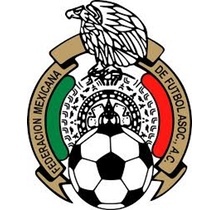 The Mexican team has been crowned Champions on 10 occasions, and has rarely finished below third place. Since 1993 the Mexico shirts have also featured in the CONMEBOL Copa America, a tournament that they have to date not won. They have finished as runner-up twice in 1993 and 2001. Traditionally the Mexico football kit has utilized the colours of the country’s flag, which are green, white and red. However, in recent years their kit manufacturer Adidas has experimented with the team’s kit design. In 2015/16 a black home jersey was introduced. The crest was green, and the jersey was released with the slogan ‘We all wear green at heart’. This bold choice of colour offered a new perspective for fans, but in 2016/17 the traditional green home shirt was re-introduced. The team often wears a white away jersey, but there has been more variation over the years with black, red and even pink being chosen. Adidas is the current kit manufacturer for the Mexican national football team, and they recently renewed their sponsorship deal until at least 2022. We are supplied directly by Adidas, and you are shopping for genuine Mexico jerseys. What do you think of recent incarnations of the Mexico shirts? Find us on social media and share your thoughts with us. Take a look at the latest Mexico football shirts and a small selection of accessories here at Soccer Box. We aim to keep our prices low and customer satisfaction is paramount. Make us your first choice for all official team jerseys and merchandise, and look out for special offers and discount codes when you sign up to receive our newsletter.